Axis & Allies celebrates 25 years of strategy war gaming with the release of a deluxe theater-level game in December 2009. 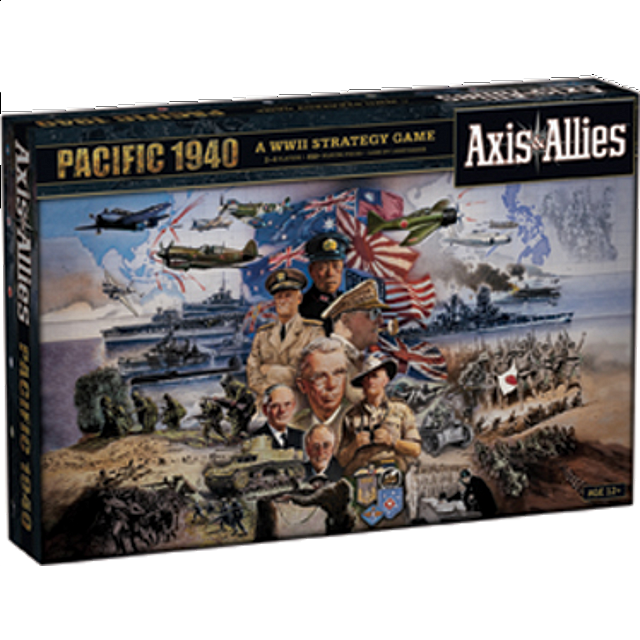 Axis & Allies Pacific 1940, designed and developed by Larry Harris, will utilize the updated rules established in A&A Anniversary Edition. Two new combat units will debut in this game, Tactical Bombers and Mechanized Infantry. Australia and New Zealand, joined together as the ANZAC forces, will debut as a new playable ally. China will field more forces than ever before, but will need all the help they can get from their allies the United States, ANZAC and the UK to withstand the might of Imperial Japan. Axis & Allies Pacific 1940 will feature an oversized board that measures 35” wide by 32” high. With over 450 pieces, deluxe game components and local storage boxes, this game will raise the standard established by A&A Anniversary Edition. All new rules for neutral nations, naval & air bases, kamikaze attacks and convoy disruption will add even more depth and historical accuracy to this giant game.